A reading light is one that can be used for reading, writing, sketching, working on a computer, craft work, and other detail-oriented activities. It illuminates on a small area over a close distance so you can get a better focus on your activity. Picking the right light for reading can be tricky, as reading lights vary vastly in their designs, functions, and features. You surely don’t have to be an expert or a lighting engineer to be able to buy a good one, but some basic knowledge wouldn’t hurt. 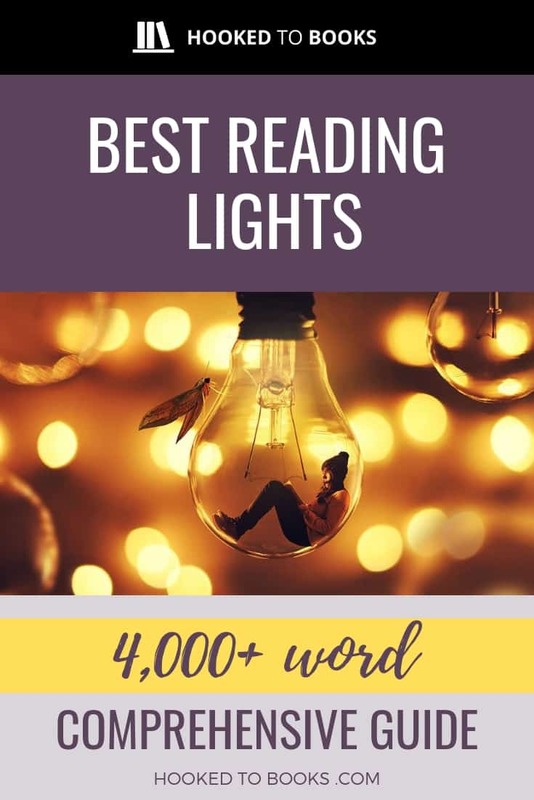 This article covers the most important criteria for a good reading light in the bedroom, the home office, and the reading nook. It also includes a detailed review of the best reading lights on the market for your reference. Whether or not a reading light is the right one for you depends largely on where and when you use it, and what you use it for. There are two important criteria: it should be bright enough to read by, and should have the right color temperature to create the desired atmosphere. Did you notice that the lighting condition in a drug store is very different from that in a Starbucks cafe? Such is the importance of light color temperature. But you don’t have to be an engineer or a psychologist to buy a reading lamp with the right shade. You just need to know which temperature range is the best for a particular reading condition. Whatever you do, you want a lamp that is bright enough so you can see with no difficulty, but it should not be too bright or your eyes will strain. As suggested by the National Optical Astronomy Observatory, we need illumination of 250 to 500 lumens per square meter for easy, normal visual task, such as reading, writing, knitting, and working on the computer. For more detailed work like drawing or embroidery, an illumination between 1000 to 2000 lumens per square meter is necessary. Every of us is unique, and our visuals and preferences are different. 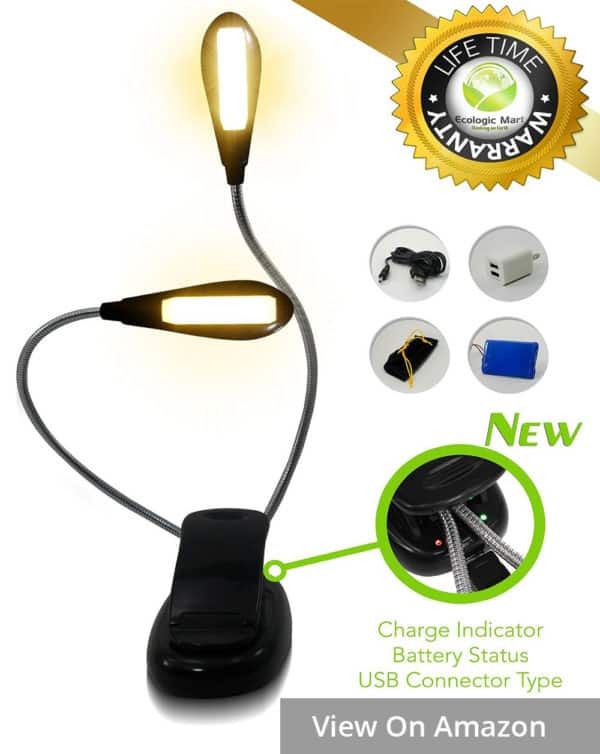 But it is worth taking those factors into consideration when you buy a reading light, to make sure the lighting condition is adequate and supportive to your activities. 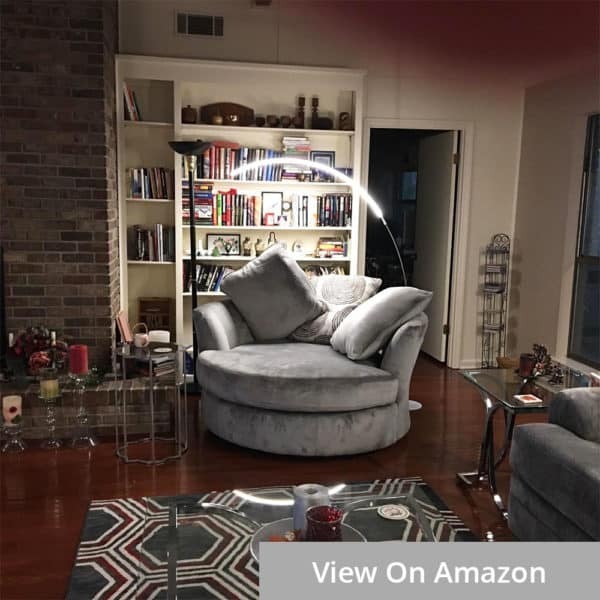 To save your time searching around a plethora of products, we have made this review of the best reading lights for various rooms in your house. Click on a product to see a more detailed description and review. You will surely find the right light for your bedroom, home office, and reading corner here. For bedrooms, you’ll want to make sure there will be no light of extreme brightness levels. This is because light with high intensity can confuse your brain, tricking it into the false recognition that it is daylight. Before you realize it, your body will have already reacted by producing serotonin, causing you difficulty falling asleep. Thus, a good lighting source for the bedroom should have luminous flux somewhere between 1,500 to 4,000 Lumens. Be it reading, cuddling to watch a romantic movie, or playing chess before you sleep, a soft, warm shade is best for creating a relaxing and intimate environment in your bedroom. 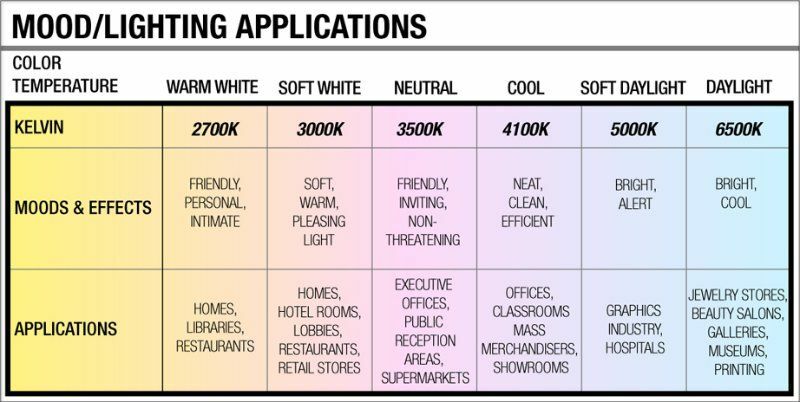 The maximum color temperature is 3000k, and as it is a light for reading, it should not be under 2700k so as not to create extreme emotions or anxiety. Bedside reading lamps, apart from providing light to read by, are items that help fine-tune the look and atmosphere of the room. For a set of lamps that shine efficiently on your book, and convey a high taste of decors, we recommend these Regency Hills. Each of the lamp comes in a curvy body with decorative carved leafs in wood finish, creating a bold, traditional feel. Its deep bronze color and an brownish ivory shade match beautifully with other wooden furnitures in your bedroom. Each lamp has a shade to direct the light to more focused areas above and under it. The creme shade, meanwhile, creates a soft romantic glow. Lit together on both sides of the bed, you will feel like the entire room is full of moonlight. As the lamp is high (30″ or 76cm), you can now enjoy your book in bed in the most comfortable position. The light is always sufficient regardless of you sitting upright or reclining, or lying straight down. No need to adjust your position all the time to catch a beam like when you’re with smaller lamps. Despite being tall, the lamp stays sturdy on your table without taking much space. That is thanks to its considerate design with a thin profile on both the body and the shade. Your small bedside tables or petite night stands can easily accommodate the lamp, together with your books and a chocolate cup. To enhance coziness and intimate feelings in your bedroom, choose 72 watt halogen bulbs that produce a warm white or amber glow. The ones with temperature of 2700 to 3500K will do the trick. Nothing adds more style and coziness to a bedroom than a classic wall mounted lamp with a warm shade. The thing with normal bedroom lamps is, however, that if they look good in the room, they are often the case too dim for a read. 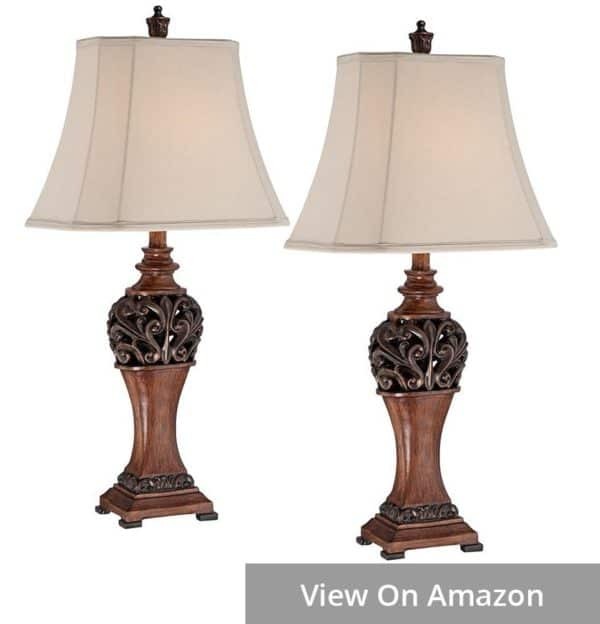 This set of two Barnes and Ivy Rosslyn lamps stand out for both function and design. Each lamp comes with a metal body engraved with nature patterns, nicely covered in a bronze finish. Its graceful arm is adjustable, reaching out and sliding back to where you please to ensure sufficient space and light focus for your bedtime activities. 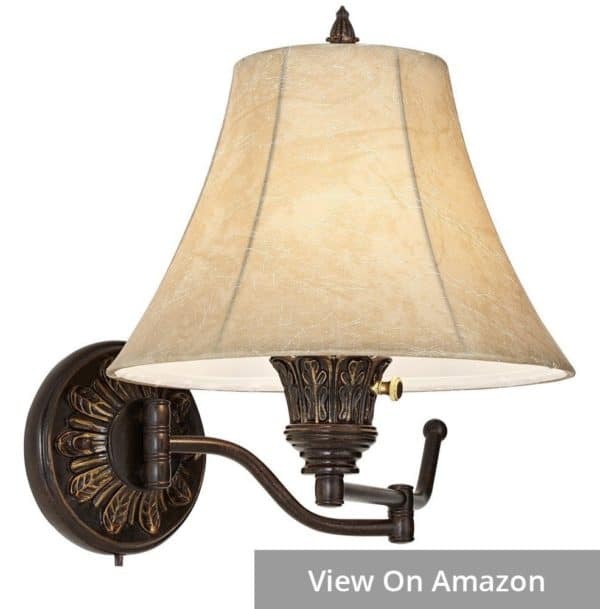 Joining the lamp to finish the traditional French country look is a faux leather shade. The shade is slightly brownish in color, promising to deliver a warm, pleasant light. The shade pairs perfectly with the metal parts to create an intimate, but classic and luxurious feeling in the room. Each of the lamp requires a 43 watt halogen bulb to produce efficient brightness to read your novels and papers. To ensure the light is warm and pleasant to your eyes, choose bulbs with a temperature somewhere between 2700 to 3500K. When you prefer a softer, gentler glow for a movie or a cuddle in bed, turn the lamp to a dimmer mode, as its intensity is fully adjustable. 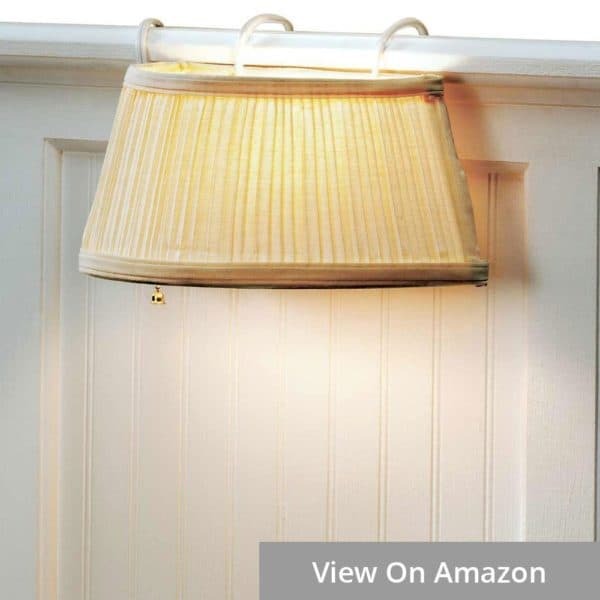 For a perfect neat look, the lamp can be hard-wired inside the wall. But if you opt for an easier option, simply plug it into a socket close to your bed. With its warm light illuminated at 5Lm to 40Lm, this Ecologic Mart’s item wins our vote for the best book light for reading in bed. Be it your time with a romance fiction, your parents’ mini chess game or your child’s comic adventure, this little gadget promises to make it a moment of coziness with its warm pleasant light. The Ecologic Mart Eye Care light consists of 2 branches that can work independently. They also work simultaneously when you have a big book or a reading partner. Try various lighting options – there are 8 in total – and both of you can now read in your desired shade of amber. Despite having 2 heads, it takes only one and a half hour to fulfill its rechargeable 1000mAh batteries via a USB cord. Depending on how you use it, one charge can last from a few days to several weeks. There are indicators to show you the charging and battery status. As its charger head comes with two ports, you can simultaneously use and charge the light and/or even your phone as well using the same block. The best reading light on your headboard is one that is portable, produces warm gentle light, but at the same time has a focused area so you don’t have to widen your eyes to be able to read. This Newhouse is such one. At 300 lm, the light is sufficient for reading in a dimmer lit environment. As it is very soft, your eyes do not have to adjust themselves between pauses of your read, when they drift off the lit pages into darker areas in the room. Designed for “stress free productivity and enjoyment”, the Newhouse produces an adequate glow at 3000K. It is pleasant to the eye, warm enough to not mess with your melatonin (the sleep hormone), but bright enough to not lure you to sleep 3 minutes into your book. The light comes with a sturdy clamp that opens to approximately 2 inches. To protect the gripped surface from the super strong grip, 6 suction cups are added inside it. 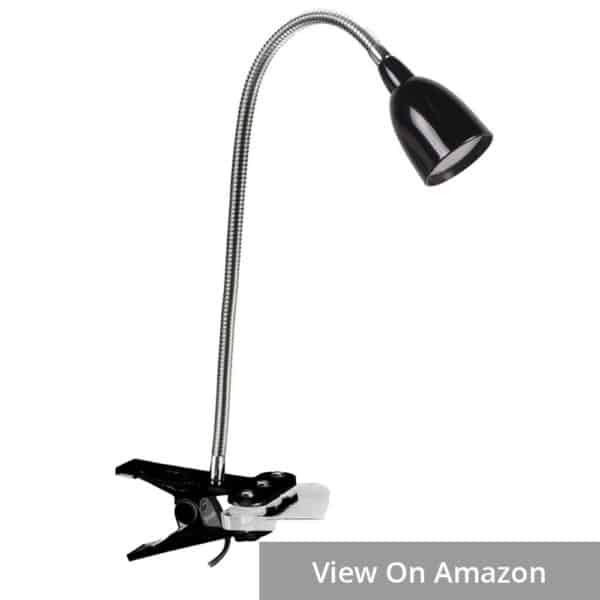 If you have had clamp reading lights that scratch or peel off the paint on your reading table or headboard, you’re gonna appreciate this. In terms of design, the cutie has a sleek, shiny appearance. It comes in 3 colors: black, purple, and bright blue. Personally, I can see it matching better with modern designs and decors. The light would be perfect if it had a dimmable function for those who want a fast read to lure themselves to sleep. Good news for lazy book lovers who read a lot in lying position and are often times too sloshy to reach over to turn off their lamp before going to sleep, there’s this light that can be installed easily right on your headboard. As expected for a bed light, the lamp has a folded ivory shade, which creates a warm, gentle white light where it is placed, and prevents glare. The material and color come in a retro simple design, making it match easily with most bedroom styles and decors. The lamp has a half-moon shape with one flat surface to stay intact on your bed headboard. This allows the light to shine evenly over your shoulders, without unintended swinging. It is hung by two bendable wire-coated hooks, which can fit with 1.5 inches thick boards. As a side sleeper, I really appreciate this movability. When I change side of the bed every now and then to make sure I’m sleeping on both sides for my body to retain a balance, I can just simply slide the lamp along. No need to buy 2 lamps for each side, and no hassles of plugging/unplugging or worse, drilling new holes on the wall to place it. As the hooks are covered in a smooth material, they won’t create any scratch or peeling on the headboard. As it is made for the lazy bed readers, the lamp can be switched using a pull chain. Once you’re done with your book, reach over, pull down, and you’re good to sleep. Overall, this is an item of great value and usefulness. One thing to check before you buy it, however, that your headboard is not too much thicker than 1.5 inches, and is tall enough so that the lamp won’t touch your head when you sit or lie in bed. A table light, especially one in your bedroom, is not only for reading and studying. It also shines on your sketch board, on the pages of the family album you’re turning, on that scarf you’re knitting for your beloved niece. Your mood and mind alter for different activities in the bedroom, and you need a light that can accommodate different atmospheres. With a knob that you can twist to change both the brightness and the color temperature, the BenQ Genie is the perfect table reading lamp thanks to its versatility. Unlike most other LED lamps, the Genie has a crescent head, making it look “softer” and much more graceful than just a straight plate. More than aesthetic functions, the bend also increases the illuminated area, allowing the light to cover a wider part of your table. At one end of the head is a beautiful ring, which you turn the lamp on and off with. It’s also where you activate the Smart Lighting mode, in which a sensor will detect the room ambient and adjust the light accordingly. 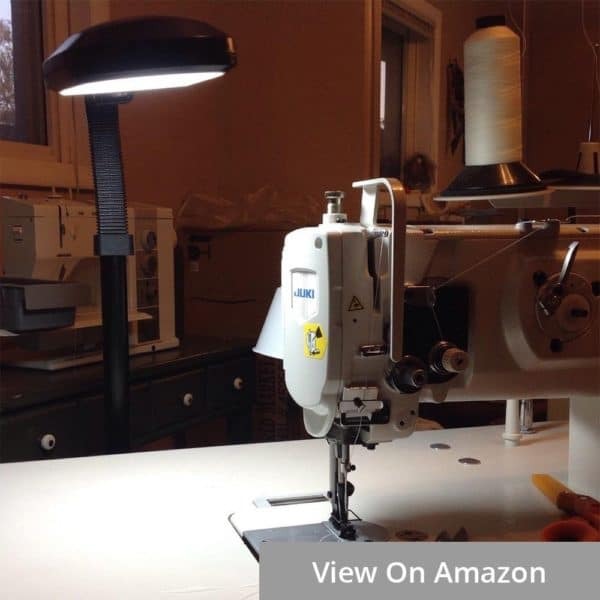 Designed for working with electronic devices, the light is distributed with more brightness to the sides and less in the center, thus minimizing glare on the screen. To get the exact light angle for your work, you can twist the head around and bend it up and down. You can also adjust the illuminating distance by bending the arm where it meets with the base. While the head is all artsy and beautiful, the arm and the base both have a rather plain shell. They are function-oriented: simple, sturdy, and incredibly heavy (the lamp weighs 5.3 lbs). The cord is nicely covered with braided fabric, making it even a safer item to put in your bedroom. Want your reading room to be a place of peace, coziness, and imagination? Find a special reading light. It doesn’t always have to be a fancy chandelier with loads of sparkling crystals to bring you to the beautiful adventures. However, the light should have a design that promotes privacy and reflects your personality. In addition, you will need a light with a soft color, such as blue, white, or light green to enhance tranquility in your reading corner. It should help you to release all the stress and lose yourself into the world of fictions. For the desired effect, a temperature of 2700 to 4000k (warm white) will be ideal. Nothing in the world sounds more heavenly to book lovers than a snuggle in their comfy chaise lounge with a soft blanket, two fluffy pillows, and a good, good book. A reading light for those moments is one you can only read by, but can also inspire your imagination and set a cozy, tranquil atmosphere. The Brightech floor lamp comes in a unique crescent shape, which arches over to shine evenly over your shoulders to the open pages. At 2000 Lumens, it allows you to read even small printed lines and see the steam on your cup of hot tea. The glow is, however, soft, warm, and pleasant to the eye at 3000K in temperature. As it has a slender arm and head, the lamp takes a humble space in your small cozy corner or reading nook. The simple design allows it to match easily with the surrounding furnitures and decors wherever you place it. The lamp’s simple on/off switch is conveniently placed in the middle of the cord, and is within your feet’s reach. There is no dimmable function, but this light is designed to set the mood for reading, and a glare is the last thing you should worry about. Update (Sep 19): There is now a new version of the Arc lamp with a 3-step dimmer! The dimming function is incorporated into the pedal switch. Kudos to Brightech! Do you know the fasted and easiest way to make your reading corner a balmy, cozy corner for retreat? Install this warm classic pendant light there. Boom! 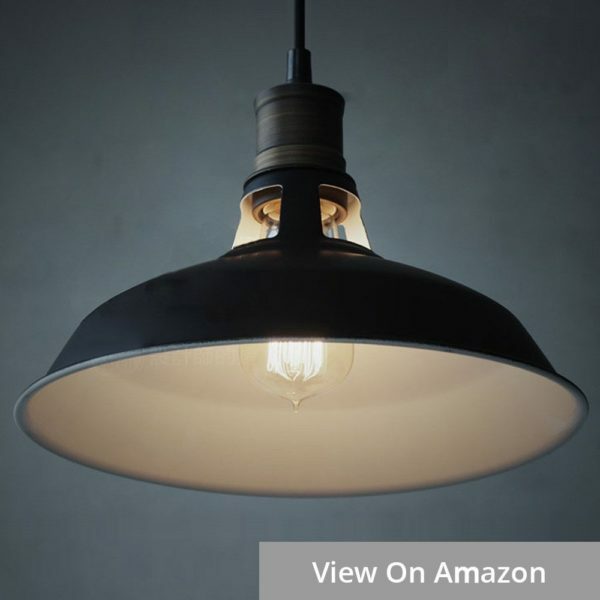 This Claxy Ecopower barn pendant lamp comes with black cord, a metal shade with ivory finish inside, and black paint outside. The top part, meanwhile, has a fine bronze finish. Around it are some cut-outs, which allow the light to go through and shine up to avoid the dark shadowing. The paint on the whole item is made very fine and shabby instead of sleek. That somehow gives off a feeling of calmness and humility. Installed with a 60 – 100 watt bulb (or equivalent) at a warm temperature (2700 to 3500K), the lamp can create a homey and secure atmosphere. It offers that gentle glow that makes you to feel safe and relaxed, allows you to forget all of your daily stress, and lose your mind and heart in the beautiful world of books. At a diameter of 13.1”, the lamp fits very well with the confined space of your reading corner. As it looks simple and classic in style and color, it matches easily with both modern and antique decors. Your work in the home office, meanwhile, requires your 100 percent energy and concentration, and you need to be sharp and alert for the challenging tasks. That is why a specifically designed item with bright, cool white light will be of great usefulness. A reading light should be bright (with brightness level of at least 3,000 and up to 6,000 Lumens) enough to stimulate your aspiration and creativity, without creating glare on your computer screen or fatigue on your eyes after a brief drift. The temperature should be at least 4100, and up to 6000k, which represents the neat, bright feeling of direct sunlight or light on a cloudy day. If you’re working at home and want a setting that enhances your concentration and productivity, putting this Brightech floor lamp next to your desk would be a good move. Created to boost up working efficiency, the light emitted has a temperature of 6000K. This is the same as the cool crisp light you usually see on a sunny day that makes you feel energetic, and ready to get work done. At 2000 lumens in brightness, the lamp is more than sufficient to light up the smallest details of what you’re working on. You don’t have to bend down closer to see a table of figures or that delicate flower petal on your embroidery frame. If you want a softer glow for a convo or to watch cat videos on Youtube, the lamp can always be adjusted to a dimmer mode. Simply touch the power button till it reaches your preferred level. The next time you turn the lamp on, it will still remember it! As a task lamp, the lamp’s light focuses on an area as large as your desk. To make sure you don’t have to move the whole thing when your position changes, the neck is made flexible. You can always bend, twist, and customize to your favorite lighting angle. Coming in a simplistic, space-efficient style and with 5 shell colors, the lamp can match easily with both traditional wood flooring and more modern spaces. Bright, sleek and having multiple brightness and colors, this TaoTronics item is the best choice for a table reading lamp in your office. Not every item gets such a near-perfect review score on Amazon. What’s so special about this lamp? It offers 30 settings for warmth and brightness levels. For a crisp, bright light to boost your energy and determination in the home office, choose the coolest color and the brightest intensity mode. The next time you turn the lamp on, it’s shining your favorite shade! 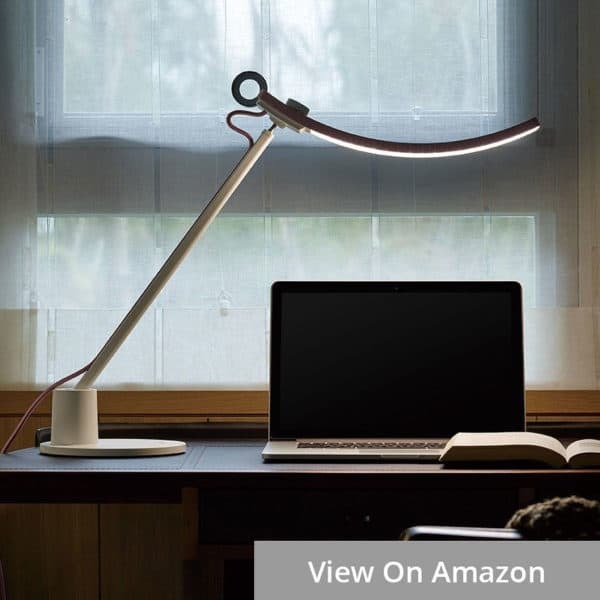 To minimize shadows when you read and write, and avoid that glare on your screen when the light is at 1200 lux, the lamp comes with a bendable and rotatable arm. You can easily adjust the arm to get the exact light angle you need. The base is neat and sleek. As it is heavy (4.4 pounds or almost 2 kilos), it can stay firm when you accidentally push it. Apart from the various lighting options, the light also has a one-hour timer. Set the light to turn off if you want to take a short break for a coffee or a walk to relax your eyes and back muscles. As a table lamp, the item is designed to maximize your convenience. It has a USB charger port on the base, saving you that reach when your phone or tablet needs charging. Finally, the light’s sleek black metal shell and modern design will bring about professional look to your desk. I think soft white is best for our reading room. Infect, reading room need such kind of lights which is not more brighter, not more darker. In this way, soft white is my first choice. Thanks for sharing. Thank you for compiling all this! 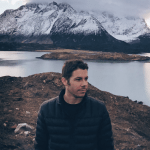 I’ve been in need of a good reading lamp for awhile and this article helped. I’ve ordered Taotronics’ Elune and look forward to trying it out. Thank you, Anodysseyinbooks. I hope you’ll have a good experience with the lamp! Great post! Thank you – With the way you did the post, it made it easy to figure out which might work best for our house. The WaterDrake headboard light is very cool and might work perfectly in our guest room! 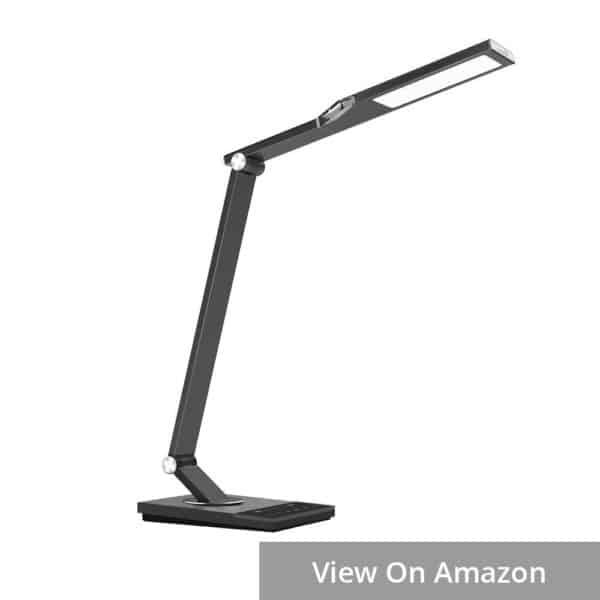 Really like the Lumiy Lightblade LED desk lamp. That lamp is so bright! great post. i have the lumiy lightblade that one is super bright. thanks for the tips! Great post! Thank you.Thanks for the tips! 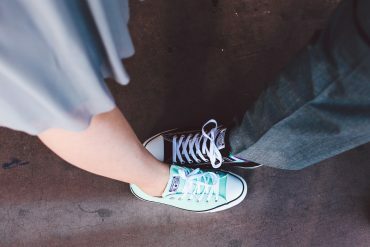 Nice Post, This is very help full article thanks for sharing. Really a great list! Thank you. I love the portable and rechargeable reading light from Ecologic Mart, and I was surprised that it has three types of light and three levels of inefficiency in each one. Love the site. I get all my reading tips here. I think the two life changing things I did was to buy a Kindle and a Lumiy Lightblade Lamp. I read tons now through Kindle and the Lumiy lamp helps me read and work so much better (this lamp has just such good quality light I can’t get over it, I have NEVER found anything else like it). That’s really great to hear Michelle, we love that!